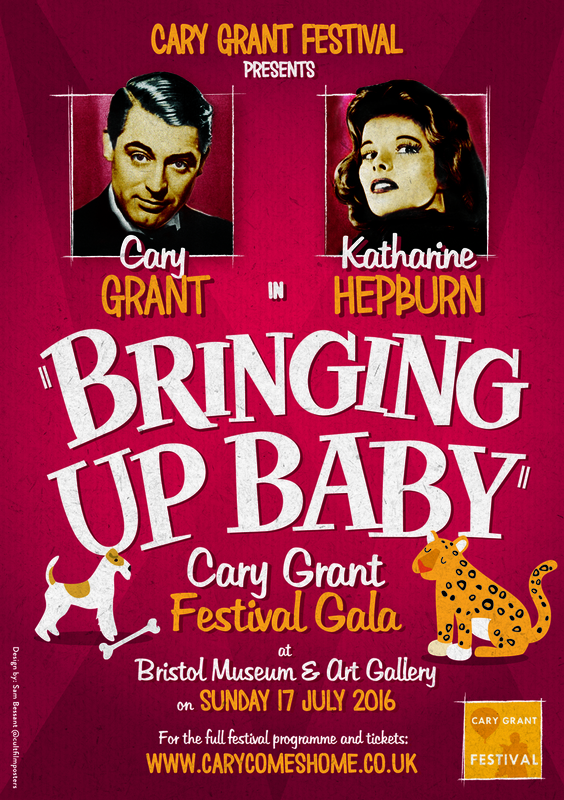 We’ve had a beautiful poster designed for us by local artist Sam Bessant of @CultFilmPosters – we love the subtle Art Deco background and the 1930s typeface. A huge thank you to Sam and hope you all love it as much as we do. 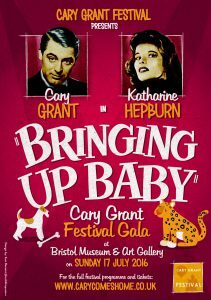 Tickets are now on sale for our red carpet gala screening of Bringing Up Baby at Bristol Museum on Sunday 17 July, doors 1900; film 2000. Tickets £25 / £20 concessions (plus £1.50 transaction fee).  We are also challenging you to make a micro movie – up to 90 seconds long – inspired by Howard Hawk’s screwball classic by 3 July. For full details of the rules, prize and jury visit our Film Challenge page. Please help spread the word by sharing on your social media. Tweet us @carycomeshome and find us on Facebook.com/carycomehome.